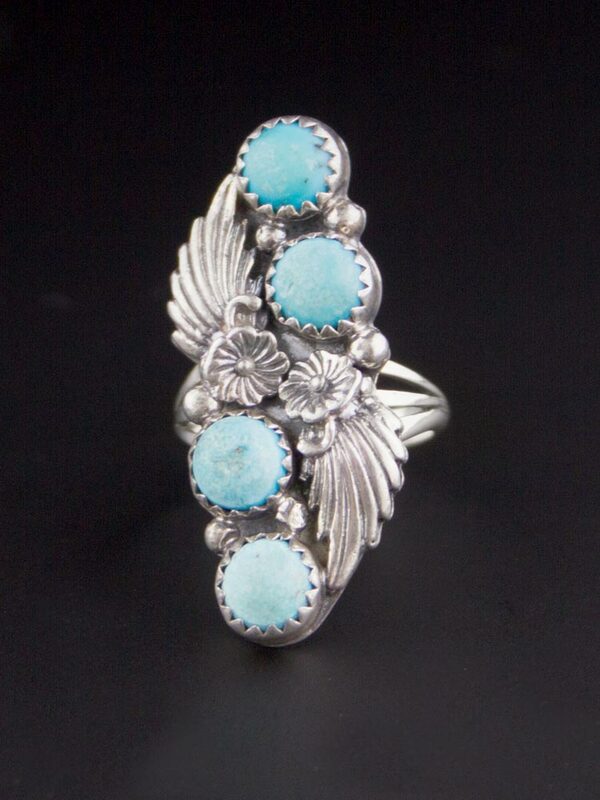 Native American hand wrought vintage sterling silver ring. Produced circa 1980 this ring has very fine and detailed silver work, in a lovely leaf, flower and berry setting - it's a particularly elegant deisgn with a smooth feel and detailed silver. 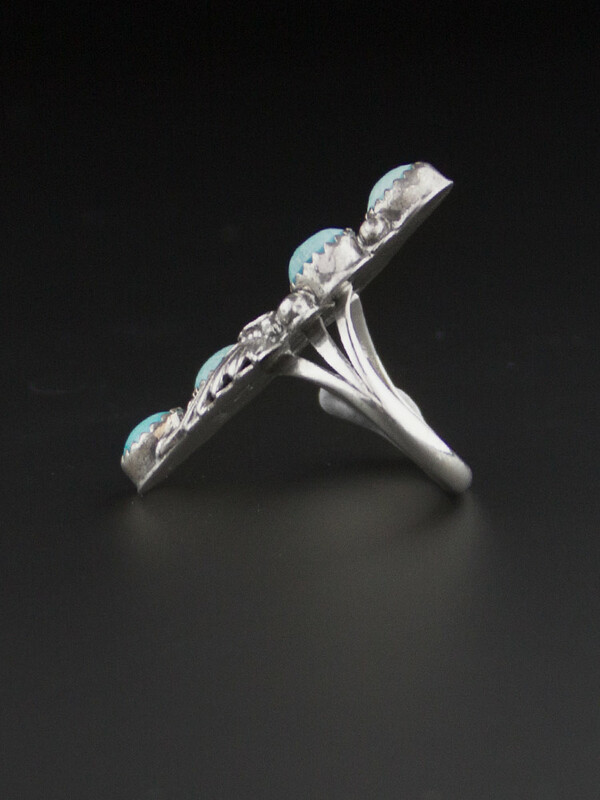 The stones are four little blue rounds, in a delicate sawtooth bezel setting. I'm unsure of the stone as it does not have the usual finish of polished turquoise, there is a chalky finish to it so it may be dyed howlite or block turquoise or another dyed stone. 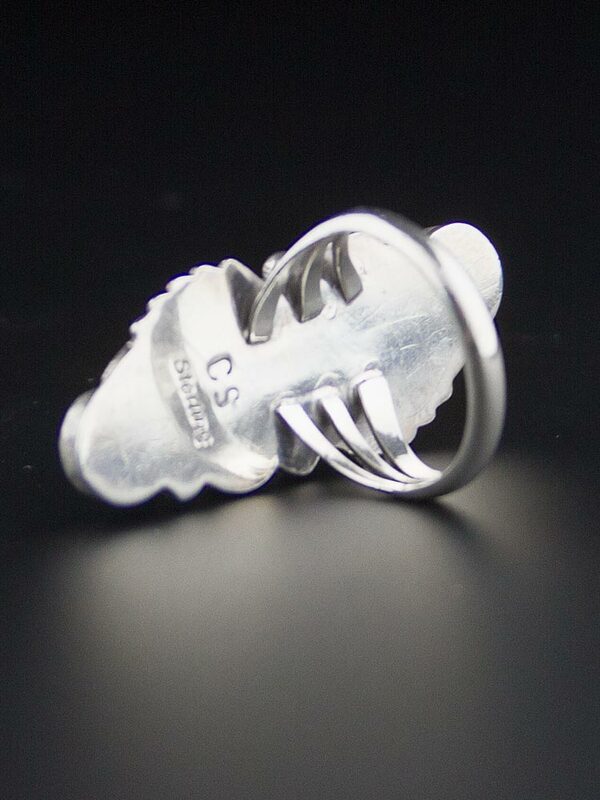 Either way it is nicely crafted, elegant and and signed sterling silver ring.